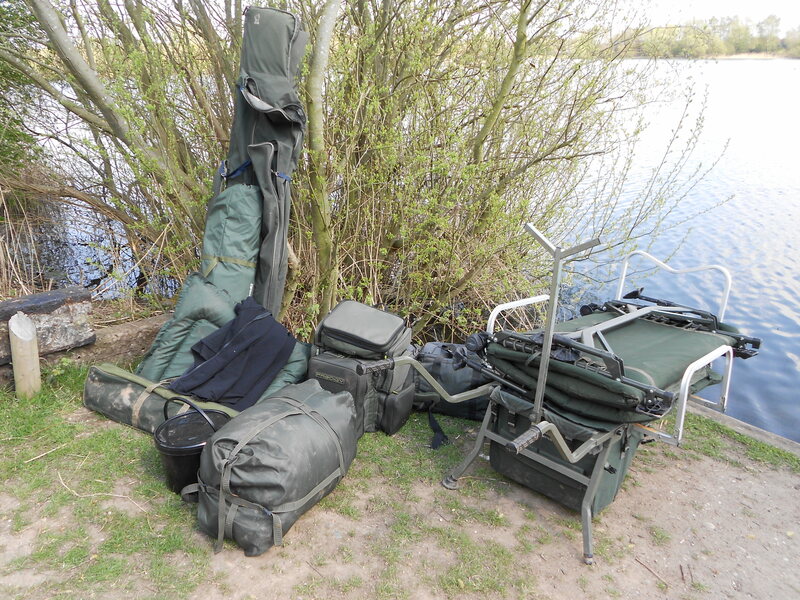 If you have followed my Angling Journal over many years, then you will know that each spring I have a short, but focused, campaign on a gravel pit. Fishing for bream and tench, I’ve basically waited for the water temperature to rise to a reasonable reading before hitting the venue. I’ve always been on there by March, and usually prior to the end of the river season. However, not that we need reminding, this year’s winter held on for so long that it was the middle of April before I could even consider an outing. But with the pit starting to become weedy after a month or so, my concern was that with the whole of nature on double-quick catch-up time it would already be hard going. As we hit May though, I was really missing my annual visits, so decided to at least give it a go. As I arrived, I got talking to a young lady out for the day, who commented that I had a ‘lot of kit’ with me. Anyway I explained that it’s all needed and how I was there for two nights. We had a lovely conversation about all sorts of things, mostly babies, as she was a young mother and I’m a new grandfather. Her parting words to me were that ‘I hope you enjoy your holiday’! Anyway my vacation began with casting out a marker float. My first-choice swim was taken but the next one was available. Whenever I am fishing somewhere I’ve been before, part of my preparation is to have a list of places, in order, where I would like to fish. I had been in the spot before but needed to be accurate in where I cast to, plus I wanted to know what the weed situation was like. Well, it was a lovely surprise to find out that on every occasion the lead came back totally clean. So that just left me with feature location. The general depth was eight feet with a plateau about 30 metres from the bank that reduced the water level to six feet. I put my marker float in place, mixed some groundbait with a kilo of corn, and then proceeded to catapult it out in small balls. The right-hand rod was on the plateau, the other just off. Both were identical except I fished with mono hooklength on one and braid on the other. 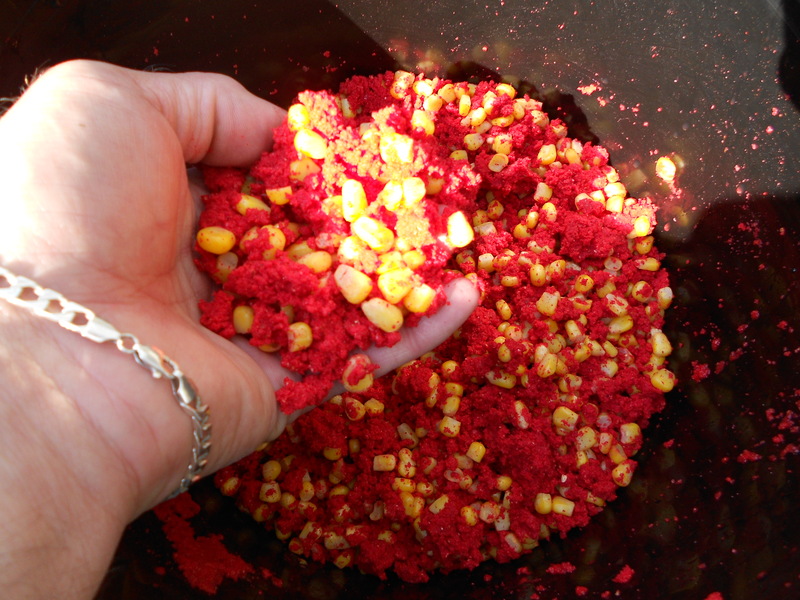 The all-important bait was 3x popped-up corn shaped boilies. 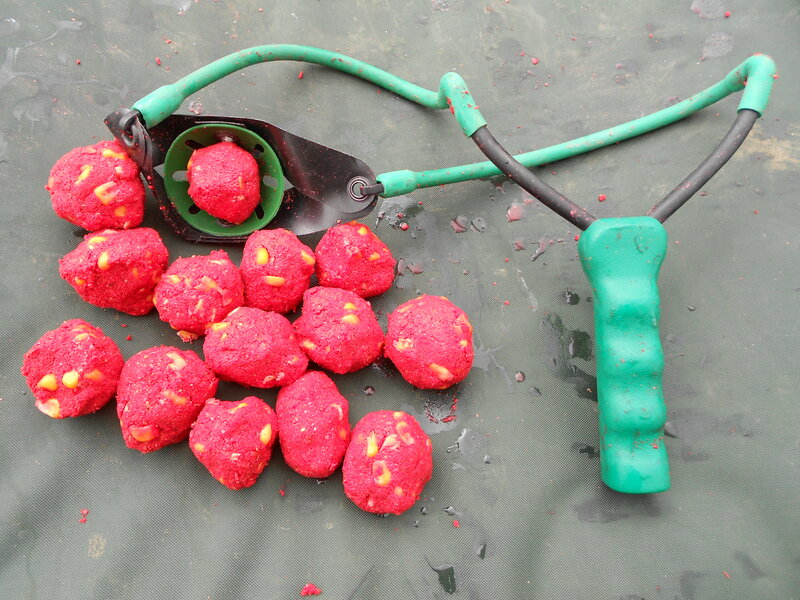 Dipped in tutti frutti, they were cast out in small PVA bags containing pellets. With some glorious weather on the day it was late afternoon by the time I finally settled back and began the waiting game. I’m in the night ‘syndicate’ on this particular venue, and like another that I’m a member of, I’m the only one (as far as I know anyway) not to fish exclusively for carp. 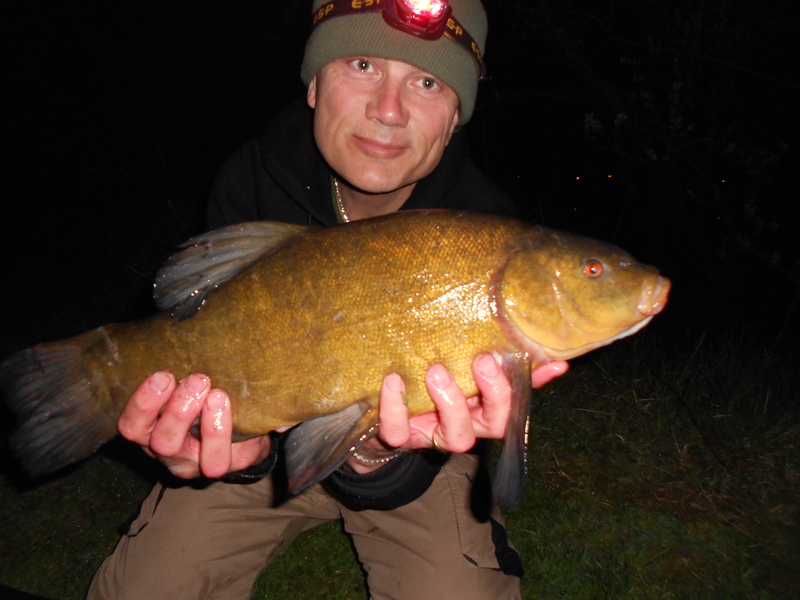 I never catch large numbers of tench but it’s unusual to land one less than 6lb. You have to put the time in and there is a certain amount of dedication needed, but the results are there to be had. And my effort was rewarded at 2.30am when one of the bite alarms alerted me to a take. Due to the patience required on the pit, it’s a lovely feeling when you lift into a fish. And even better when you bring it into the waiting landing net. This sort of fishing is not for everyone, but it suits me perfectly. Quality over quantity. After I returned the tench I was buzzing. The early hours of the morning and I was wide awake. The sort of fishing I do means I’ve developed the body clock of a shift worker hybridised with an international time zone traveller! I had no more fish during the night and as soon as the sun was up it was another bright and sunny day. I recast early afternoon and put some more bait out. 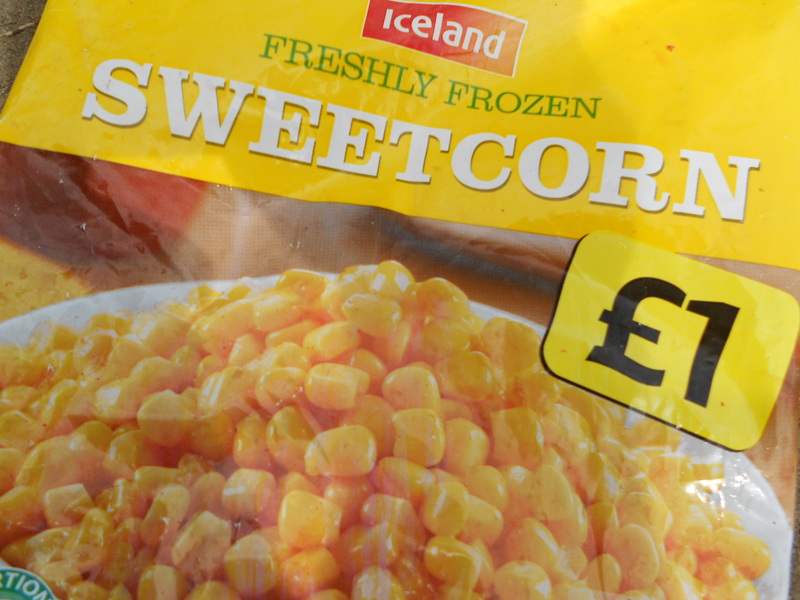 As you can see from the photograph above, the sweetcorn I used was really cheap. Not that I’m saying expensive bait is a waste of money, just stating that it doesn’t always have to cost the earth. I’ve recently bought a new Drennan groundbait catapult, as my old Fox one is on its way out. It has served me well though and for the distances I fish at is superior to the new one. 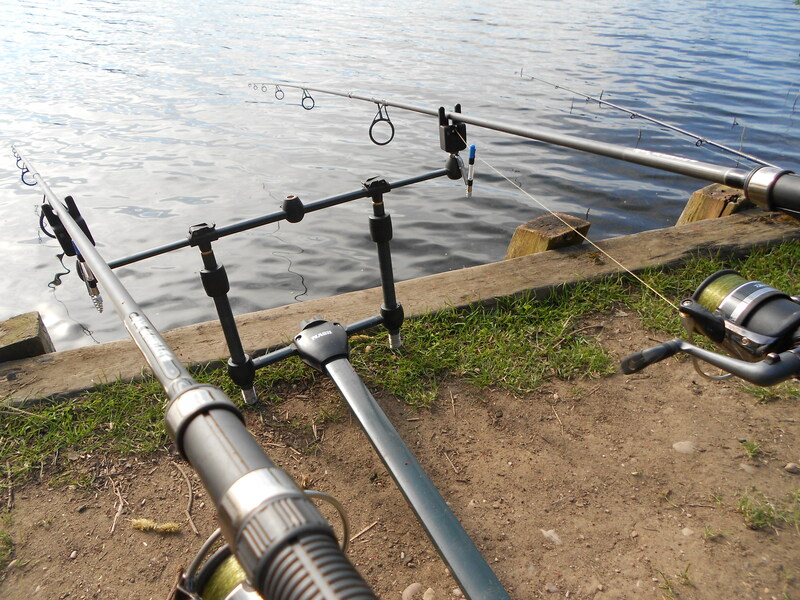 As far as the angling I’m doing is concerned, lots of smaller balls of bait are preferable to a few large ones. They don’t break up and cloud on their way down, so rather than a few heaps you want to try and create as much of a carpet as possible. Night two looked promising but sadly no more fish. However, knowing this venue as I do, that’s the name of the game. You have to put the time in, you don’t catch many, but when you do they’re of a very good average size. That might not suit all anglers of course but I’m more than happy to walk that path.